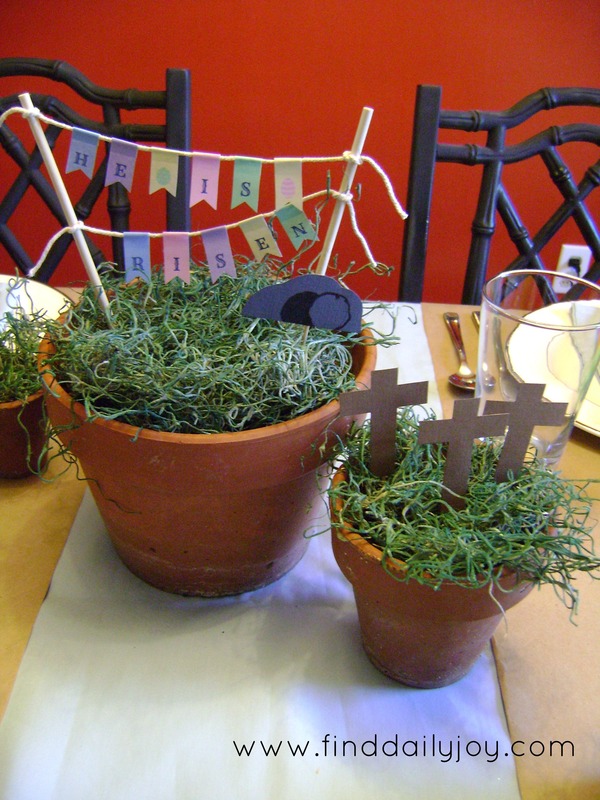 We are having some family over this weekend and I wanted to do some fun things for Easter dinner. 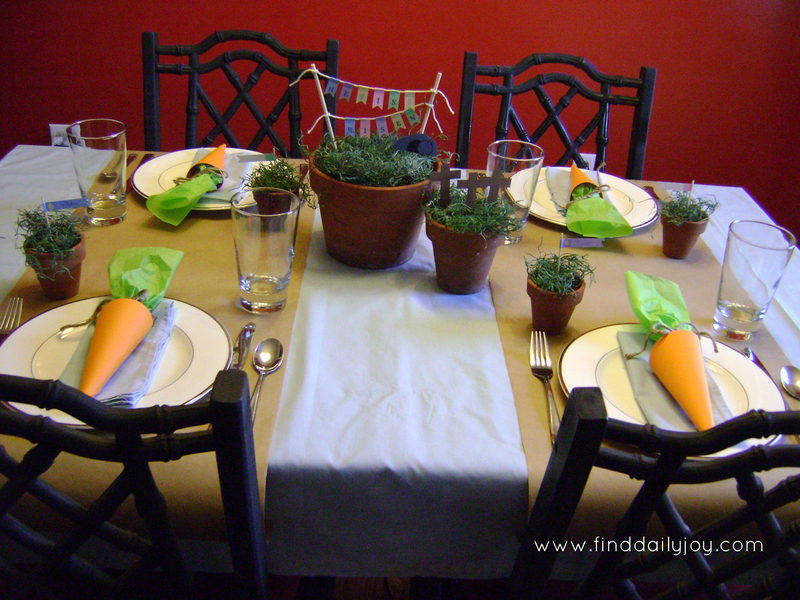 You can see the rest of me Easter tablescape and free printables here. 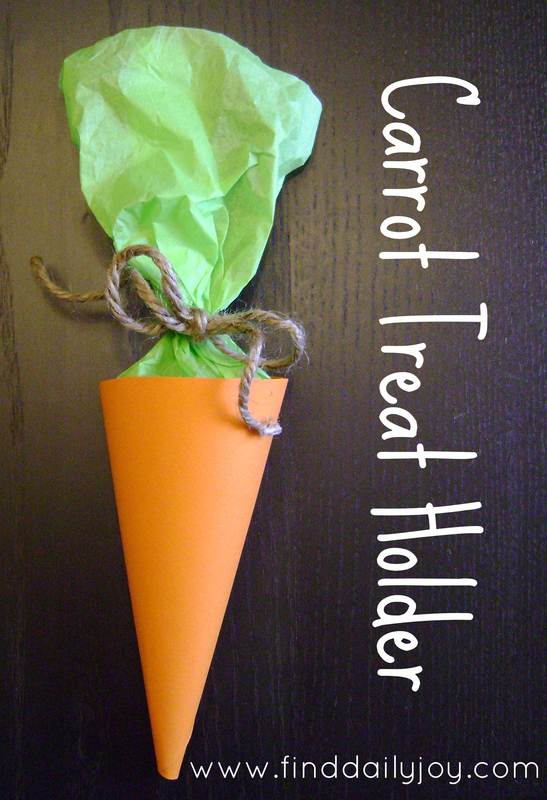 My first project is this carrot treat holder. 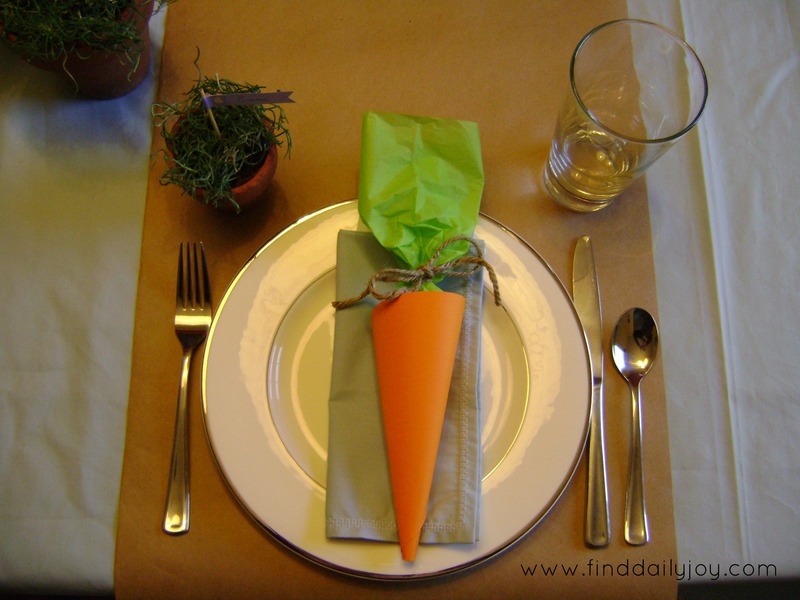 I have filled my carrots with M&M’s and will be placing a carrot at each place setting. This is an easy (and cheap :)) craft project so gather your supplies and join in the fun! 1. Cut an orange 8.5″ x 11″ piece of paper in half so you have a 8.5″ x 5.5″ piece of paper. I used cardstock but a lighter weight paper would work just as well. Measure up 8″ from the bottom on one side and 3.5″ from the bottom on the other side. Then trace a plate or some other round object to connect your two marks with an arched line. Now cut along the arched line. 2. Cut out a piece of green tissue paper that is 10″ x 7.5″. Make three cuts about 1″ long into one of the 10″ sides. This will make it easier to attach the straight piece of tissue paper to the round edge of the orange paper. 4. Roll the bottom of the orange paper up to about the center of the arch and secure. 5. Continue to wrap the orange paper around and secure. 6. 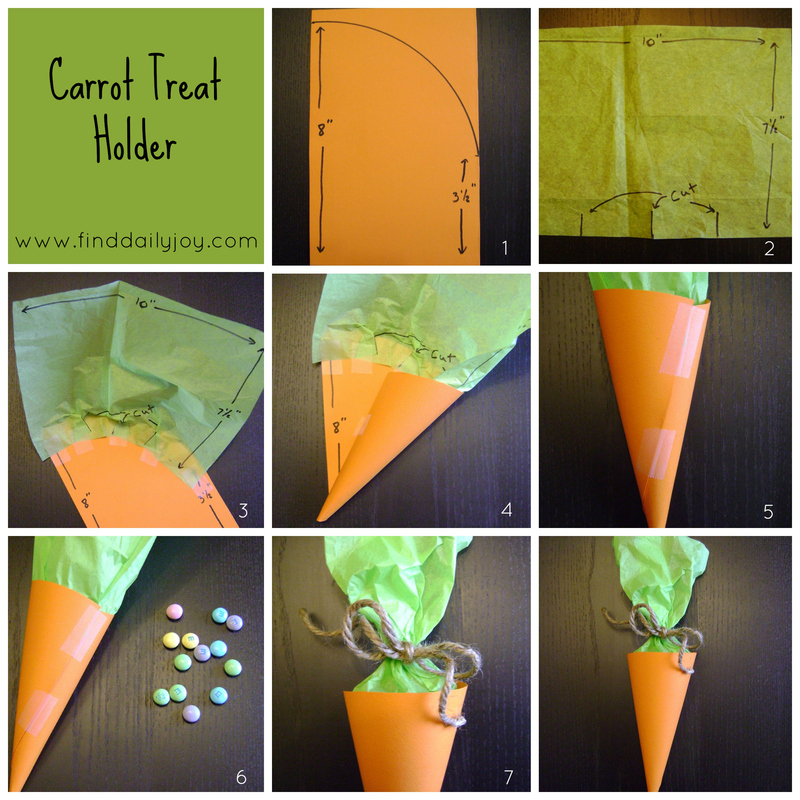 Fill your carrot with treats! I filled mine with candy but you could fill yours with stickers, crayons, small toys, jewelry or any other small trinkets. 7. Cut a piece of jute 19″ in length. Gather up the tissue paper and tie the jute in a bow around the tissue paper. Glad you liked them. Thanks for stopping by!